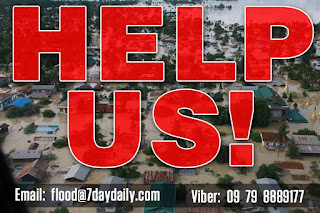 Home » Burma Flood » Myanmar Flood » Myanmar Flood "Help Us"
Myanmar (or Burma) has been suffering from the recent flood disaster. This flood can be regarded as one of the worst disasters in decades. Most of the cities in 10 out of 14 States (or Divisions) are already under water now. Reportedly, up to 150,000 people had been displaced or had their livelihoods affected due to this terrible flood. More torrential rain is expected in the coming days according to weather forecast. This status has been posted in order to create the awareness for this flood disaster in Myanmar and let all countries across the world know that flood victims are in need of help for their survival and rehabilitation. Moreover, people in disaster zones are dying everyday due to lack of food, clean water and basic necessities for life. 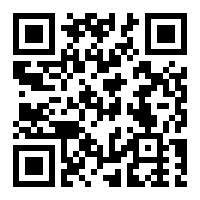 For people in Burma, you can check this websitehttp://www.myanmarflood.info/ for more information and donation. And also please copy and paste this status on your timeline along with hash-tags below to create international awareness. Your help is one of the necessities for flood victims. 나는 미얀마 물 홍수에 대한 기부금을 시작합니다. 나는 나의 친구, 형제 및 자매 모두의 도움말 및 지원하는 필요합니다. 기부 및 문제가있는 사람들을 도와주세요. Ben Myanmar Su Flood için bağış yapmaya başlar. Ben arkadaşlarım, kardeşler ve sisterss tüm bir yardım ve Destekler gerekir. Bağış ve başı dertte olan halklara yardım edin. Sisimulan ko na gawin ang isang donasyon para sa Water Flood sa Myanmar. Kailangan ko ng tulong & sumusuporta sa lahat ng aking mga kaibigan, mga kapatid at kapatid na babae. Mangyaring mag-abuloy at matulungan ang mga mamamayan na nagkakaproblema. Eu começo a fazer doações para uma inundação de água em Myanmar. Eu preciso de uma ajuda e Suporte de todos os meus amigos, irmãos e sisterss. Por favor, doe e ajudar os povos que estão com problemas. Ich fange an, eine Spende für Wasser Überschwemmung in Myanmar zu tun. Ich brauche eine Hilfe & Supports aller meiner Freunde, Brüder und sisterss. Bitte spenden Sie und um die Völker, die in Schwierigkeiten sind. Αρχίζω να κάνει μια δωρεά για το Νερό πλημμύρες στη Μιανμάρ. Χρειάζομαι βοήθεια & Βάσεις όλους τους φίλους μου, τους αδελφούς και sisterss. Παρακαλούμε να δωρίσουν και να βοηθήσει τους λαούς που βρίσκονται σε δύσκολη θέση. Я начинаю делать пожертвования для воды Потопа в Мьянме. Я нужна помощь & Опоры всех моих друзей, братьев и sisterss. Пожалуйста, поддержите и помочь народам, которые попали в беду. No Comment to " Myanmar Flood "Help Us" "